Mexican firm BNKR Arquitectura has proposed a 65-story subterranean building that they’re calling an “earthscraper” right in the middle of jam-packed Mexico City. 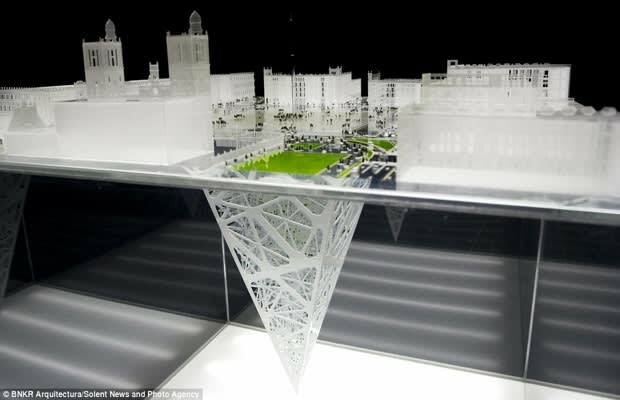 Shaped like an inverted pyramid and extending nearly 1,000 feet into the ground, the building would cost $800 million to create and house an Aztec museum, retail stores, apartments and businesses. While waiting for approval from local authorities, BNKR is designing a fiber optics system to transport sunlight from the surface to the bottom floors—no small feat given the depth.